Open 5:45a-8:30p M-Th, Close 7p Friday. 7:30a-1p Sat - 8am-1p Sun. 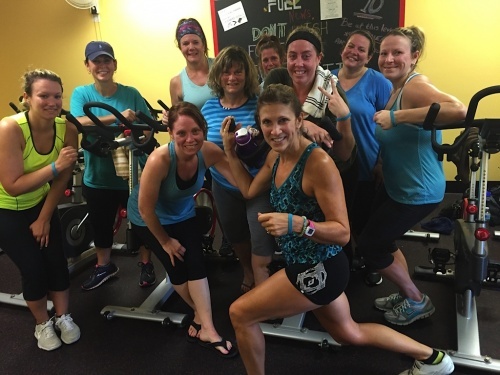 Fuel Fitness is proud to help our local community and other organizations. Watch as this page fills up with news about our efforts and how you can help, too! We are proud to announce that every year, Fuel is an official Drop-off location for TOYS FOR TOTS! 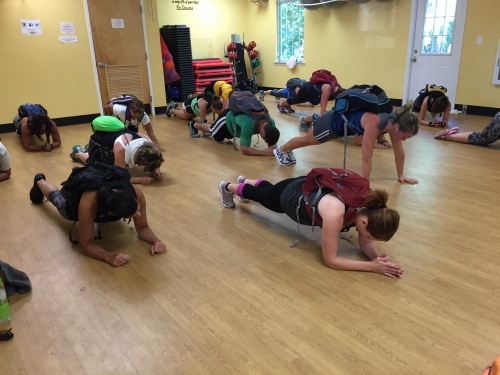 Working out with backpacks on to honor our military! OVARIAN CANCER AWARENESS (Sept. 19-20, 2015). Wear your teal! Our ACTIVE HEROES fundraising participants! Each year Fuel also holds an Autism Awareness Day where all funds raised goes to Gloucester County Special Services Education Foundation.